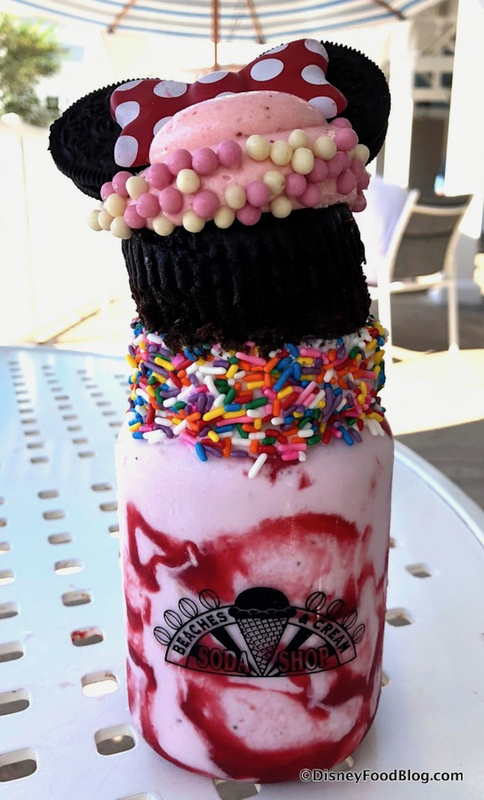 Definitely not a trick, these incredible over the top milkshakes at Beaches are Cream are the real deal. 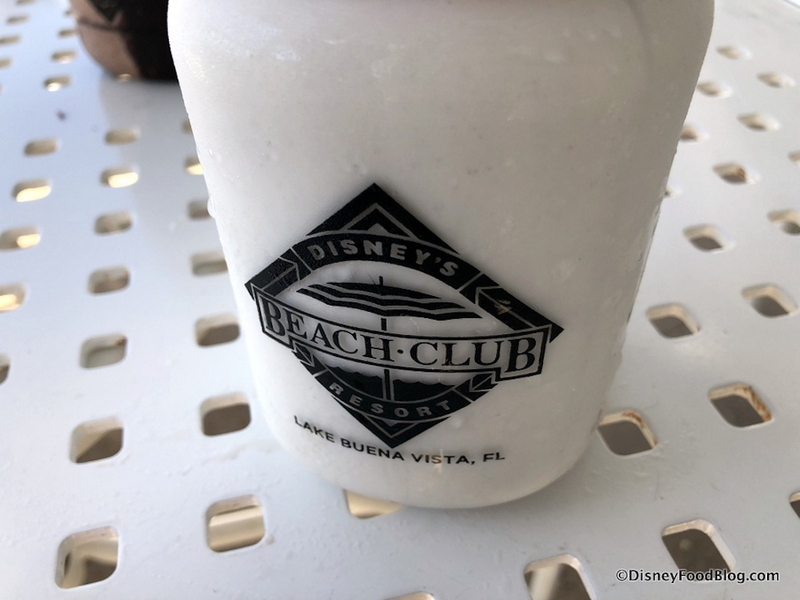 Earlier this week, the Disney Food Blog reviewed the new additions to the Beach Club Resort restaurant and shared pictures, that had our mouths watering. 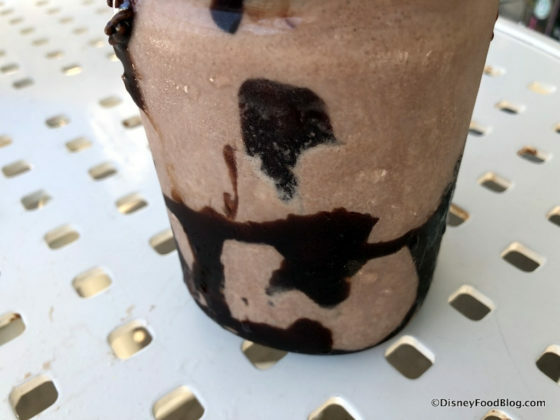 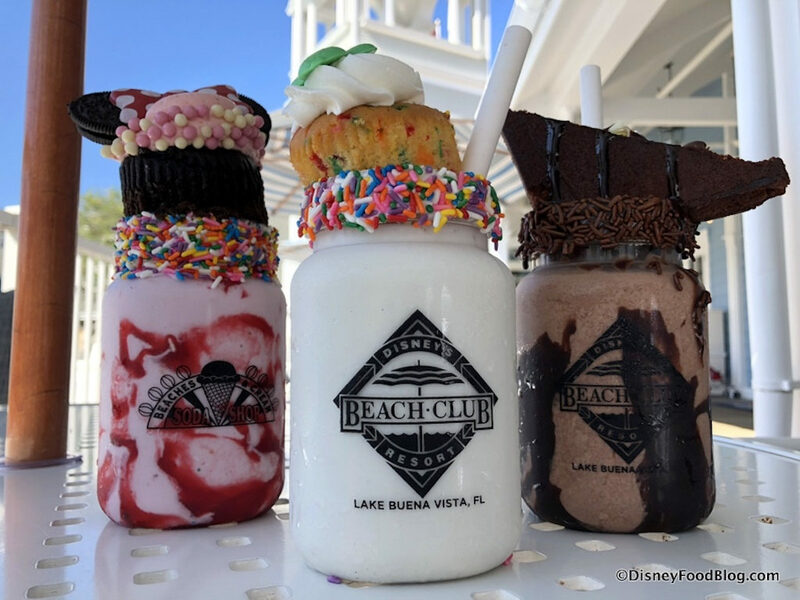 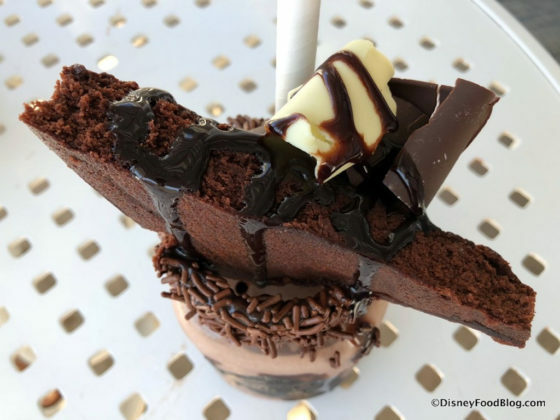 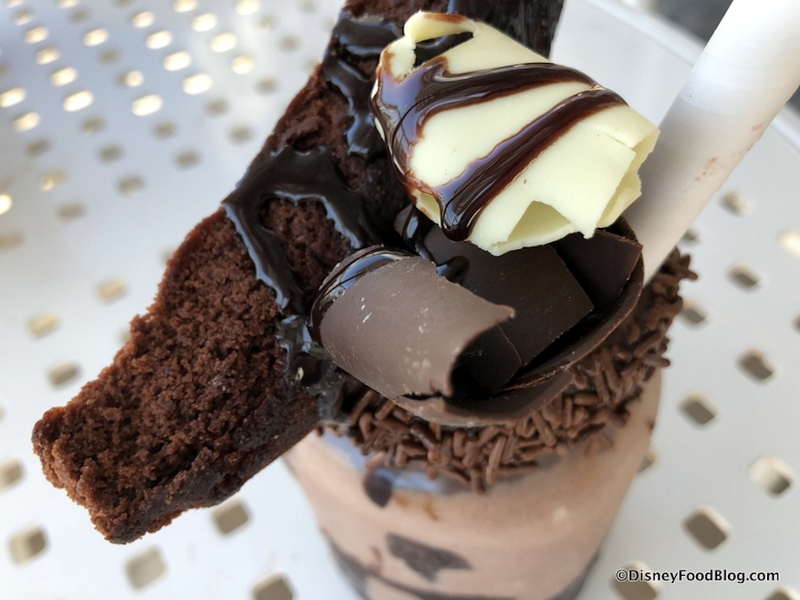 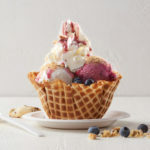 Thanks to the good folks over at Disney Food Blog, we’ve learned about three exciting new milkshakes being offered at the Beach Club Resort’s Beaches and Cream restaurant. 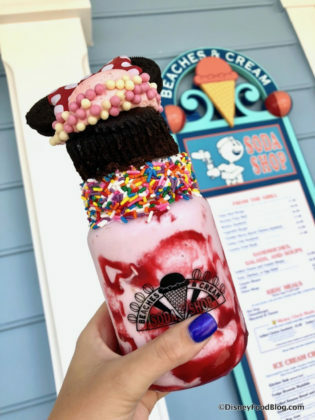 There is nothing skimpy about the newest milkshakes at Beaches and Cream. 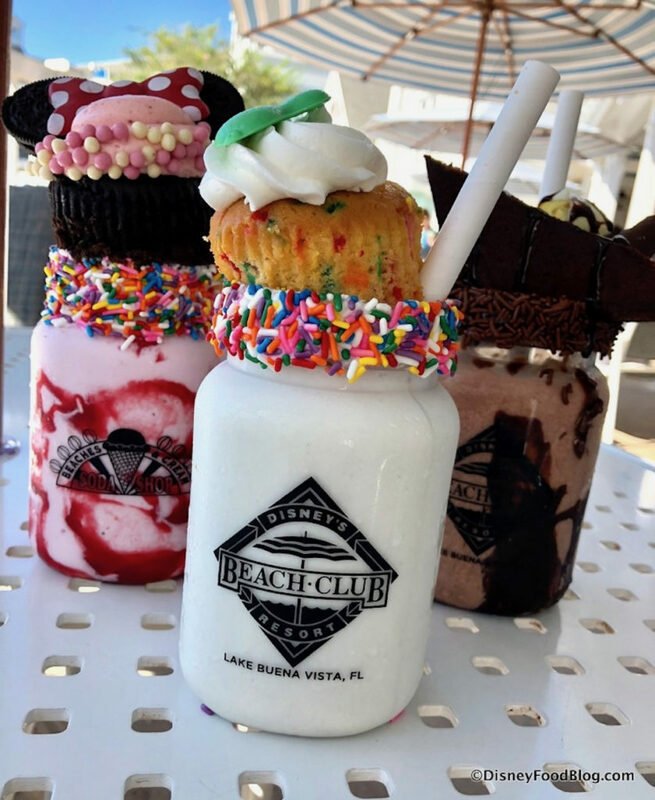 These tantalizing treats are full size milkshakes that come with a bonus dessert in the form of a cupcake or brownie. 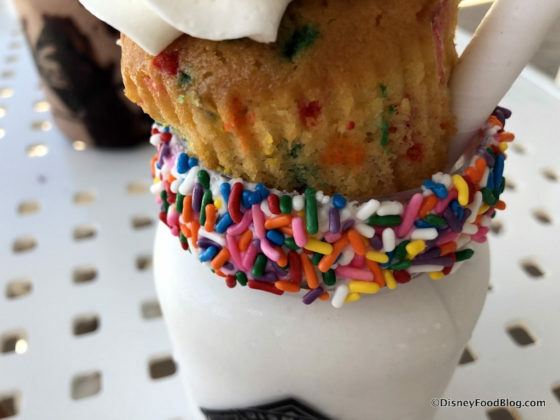 A giant vanilla milkshake served in a rainbow sprinkle-rimmed mug, finished with a vanilla confetti cupcake topped with icing and a chocolate Mickey Mouse. 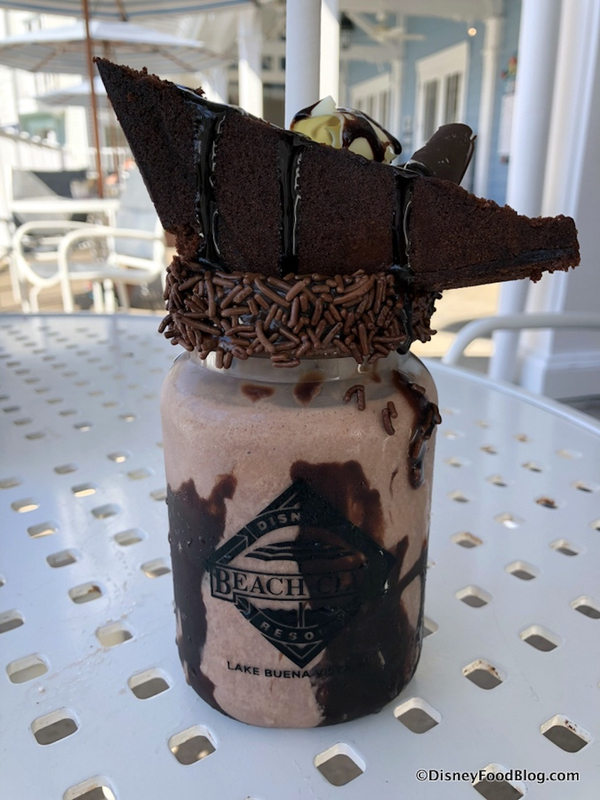 Chocolate shake served in a chocolate sauce-swirled mug, garnished with chocolate sprinkles, and topped with a brownie wedge and chocolate shavings. Strawberry served in a rainbow sprinkle-rimmed mug, finished with a chocolate cupcake topped with strawberry icing, Oreo ears, and a Minnie Mouse bow. At this time, the shakes haven’t officially made it on the menu, but guests can order them. 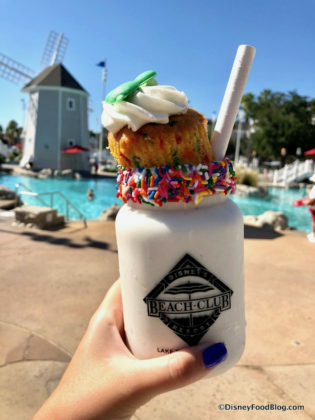 However, there is one condition: guests must be dining-in at Beaches and Cream if they’ed like to order the treats. 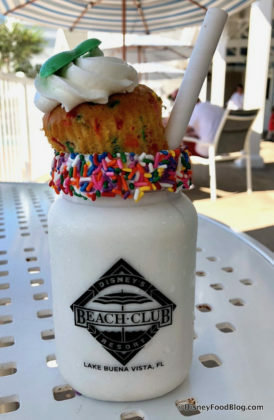 They cannot be ordered or served to go. 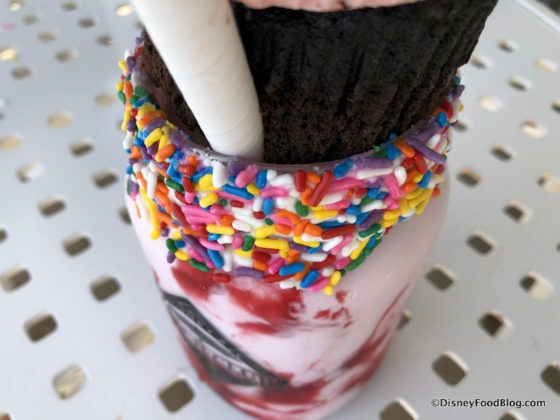 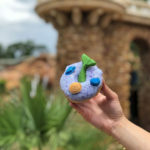 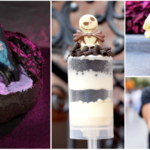 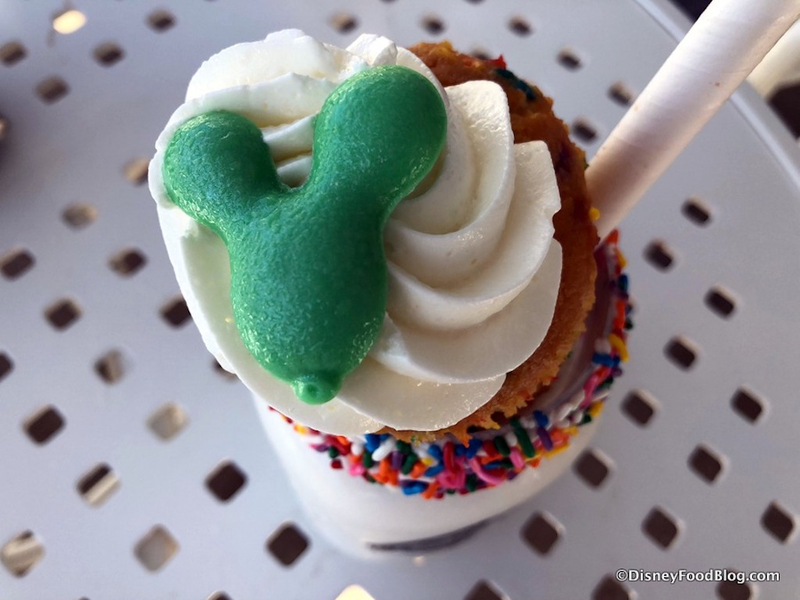 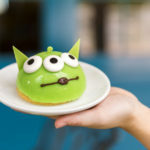 Disney Food Blog also points out that these are not replacing the grownup boozy shakes, those will remain on the menu. 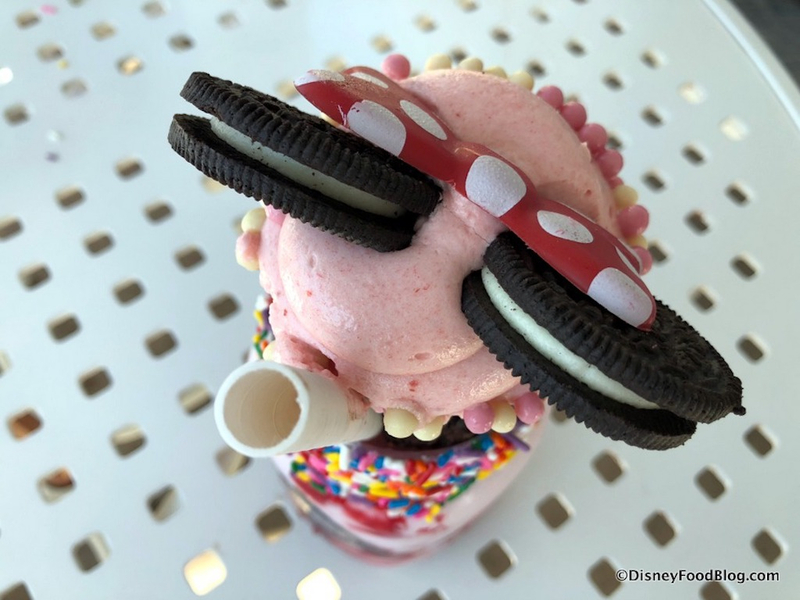 Thank you to Disney Food Blog for sharing their pictures of the new Over The Top Milkshakes with us.